My question is regarding the recent German-wings crash over the French alps. In an airline multi crew environment. How is it that the Captain can leave his fellow co-pilot all by himself in the cockpit alone to monitor, fly and manage the aircraft systems? Even if the pilot was locked out and reported bangs were heard on the door, an attempt by him (the Captain) to get back into the cockpit were heard on the CVR; how is it that the Captain didn’t use the cockpit-outside door emergency pass-code to gain entry? What’s your opinion on this. 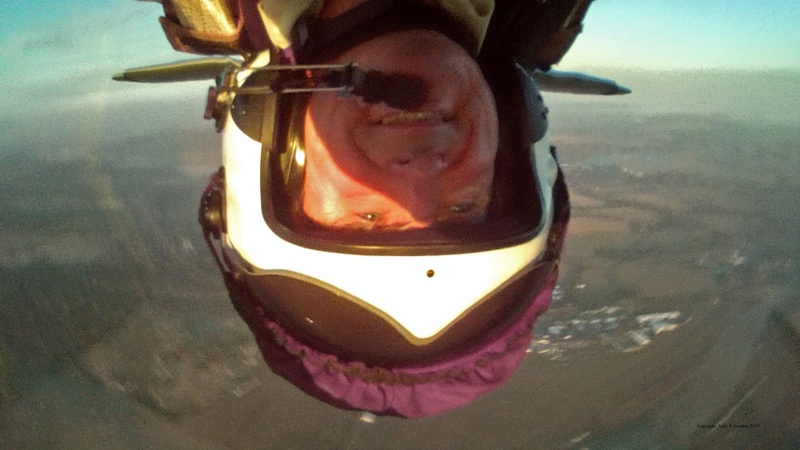 A man passionate about flying, could he really pull forward a deliberate yet inhumane move? If situations and events such as this occur, how can passengers look forward to trust their pilots flying the aircraft? I am shocked at this incident and am a nervous flier myself. Looking forward for an insight to this Dear Captain Rich. Flying today is safer than at any other time in the 111 years since powered flight. Charles Rolls (of Rolls-Royce) was the first Briton to die (1910) in an aircraft accident, from a fractured skull when the tail of his Wright Flyer broke off at a height of 20 feet. Today, one aircraft passenger dies for every 123,000 passenger-years of flight. I calculate that flying is about 2,600 times safer than driving cars and that only one in 4.5 pilots (of 4 engine aircraft) will ever experience an engine failure during their entire career. Yet our insatiable appetite for the immediate 24 hour news cycle and our demands for answers (where there might be none) drives many of us down the illogical mental road to fear of flying, stress, dread and paranoia. continually resets our appetite for risk, rewards and affects our decision making. Healthy fear can be good. Fear based upon rational thought improves our chances for survival. It helps us to make good decisions to change our behaviour, like running away from tigers, mitigating threats. Healthy fear is the key to our survival. Unhealthy fear is counter-productive to the human condition. It is not helpful to fear something that enhances our survival. I am writing more about this topic in my next book. Chapman University has published an excellent survey of American fears. This 2015 survey is an excellent review of 1,541 Americans and their 88 types of fears across many domains. 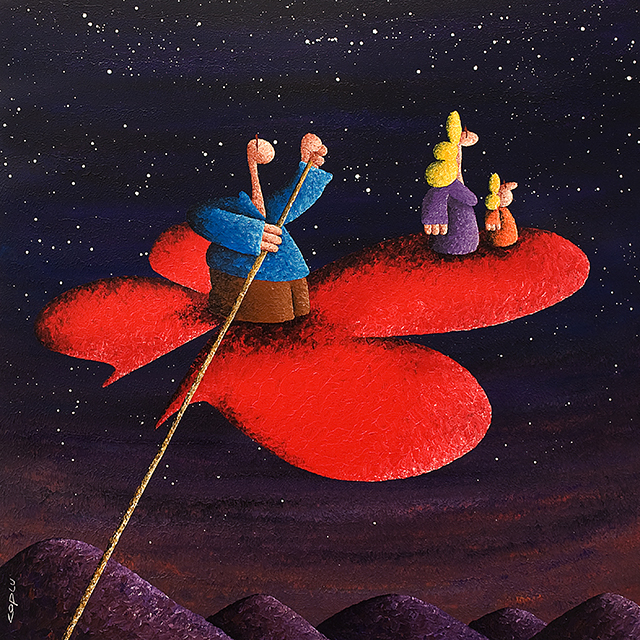 15.2 percent of the group experienced a “Fear of Flying” ranking it 9th in the list of Personal Anxieties. The “Micro Mortality” or uMort is a measure of risk. Ronald A. Howard defined the uMort as a one in a millionth chance of death. Q 1. In an airline multi crew environment. How is it that the Captain can leave his fellow co-pilot all by himself in the cockpit alone to monitor, fly and manage the aircraft systems? Emirates closing on us @ 1,800 kilometres per hour (the addition of both A380s’ ground speeds) 4,000 feet above. Automated commercial jet aircraft can be flown safely in low workload situations (during the cruise, no threats such as busy airspace, adverse weather, terrain, fuel, aircraft serviceability) by one well trained, experienced and knowledgeable pilot. The USA Federal Aviation Authority requires first officer pilots to have at least 1500 hours of flying experience. Cockpits are designed so that any one of the two pilots can operate the aircraft. Commercial jet aircraft are piloted by two pilots to share tasks and for resilience in the case that one pilot becomes incapacitated. 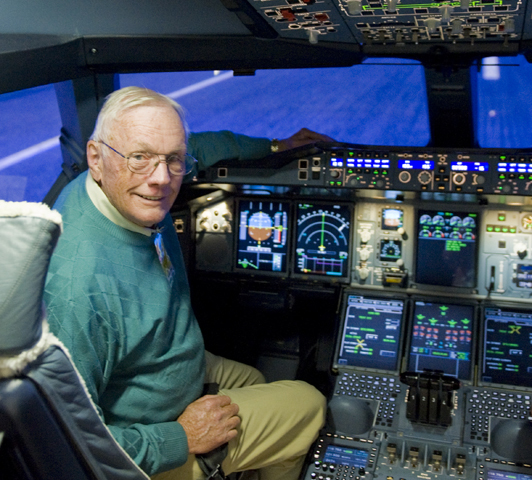 Pilots are required (and tested in simulators) to show that they can recover their aircraft to a safe landing when the other pilot is incapacitated. Pilots are rarely incapacitated. Pilots must be able to visit the toilet during flight. A cabin attendant who is positioned in the cockpit to relieve a pilot who has taken a toilet break, is NOT permitted (by law) to take a control seat and is NOT capable of flying the aircraft. Such a cabin attendant would be available only to assist the absent pilot to return to the flight deck . It is interesting that the third objective of the future ACROSS project is to have passenger jet aircraft piloted by just one pilot. Q 2. Even if the pilot was locked out and reported bangs were heard on the door, an attempt by him (the Captain) to get back into the cockpit were heard on the CVR; how is it that the Captain didn’t use the cockpit-outside door emergency pass-code to gain entry? Wait for the report on this topic. Perhaps the captain did use the emergency procedure to try to reenter the cockpit, but that these efforts were thwarted by the conscious actions of the pilot in the cockpit. 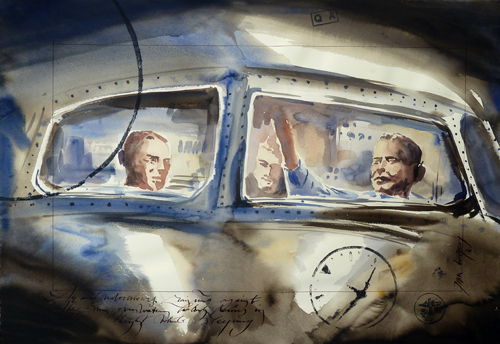 The captain would have been able to re-enter the cockpit if the pilot in the cockpit had been incapacitated. Q 3. What’s your opinion on this. A man passionate about flying, could he really pull forward a deliberate yet inhumane move? Q 4. If situation and events such as this occur, how can passengers look forward to trust their pilots flying the aircraft? Keep calm David! Fear is the barrier between ignorance and understanding. Move beyond fear and think sensibly (street-smart) about risk, safety, security, privacy and reprisal. every 7 days from road deaths. Even worse, 591 people die on the world’s roads every FOUR hours. My aim in providing these statistics is to avert unnecessary panic and fear. Think about, understand, measure and appreciate risk. You have no more control as a patient in a hospital than you do as a passenger in an aircraft. If you are happy to be treated in a hospital, then you should feel happy to fly in commercial jet aircraft. If the USA enforced the same safety standards and responsibilities onto the hospital industry as it enforces on aviation, then the hospital industry would be shut down within one week. Don’t Panic. Don’t be drawn in by the media to be fearful of flight. The first step to countering fear is to stop, think and weigh up the options and their risks before you act. Be patient and let the investigators do their job. Wait for their report. Only when the full facts are published will it be the time for the industry to react in a logical and constructive manner. We need to be careful to not overreact and take a step too far. Changes must be targeted to address the “elephant in the room” that is mental health and post traumatic stress. Good airlines already address these threats by espousing a “Just Culture” that encourages pilots to self report accidental errors and sickness without fear of reprisal. My airline goes further by checking and recertifying pilots six times per year, and by funding 50% of my union’s costs to run the “PAN” support initiative for pilots in need. Changes must also be measured to ameliorate fear, rather than to impetuously over-regulate the industry which might create additional stress, anger and harm. Post 911 fear of flying that resulting in about an extra 2,200 USA road fatalities as a result of people driving rather than flying. fly only with airlines that satisfy your appetite for safety and risk. Safety is structured. Airlines have different safety standards. 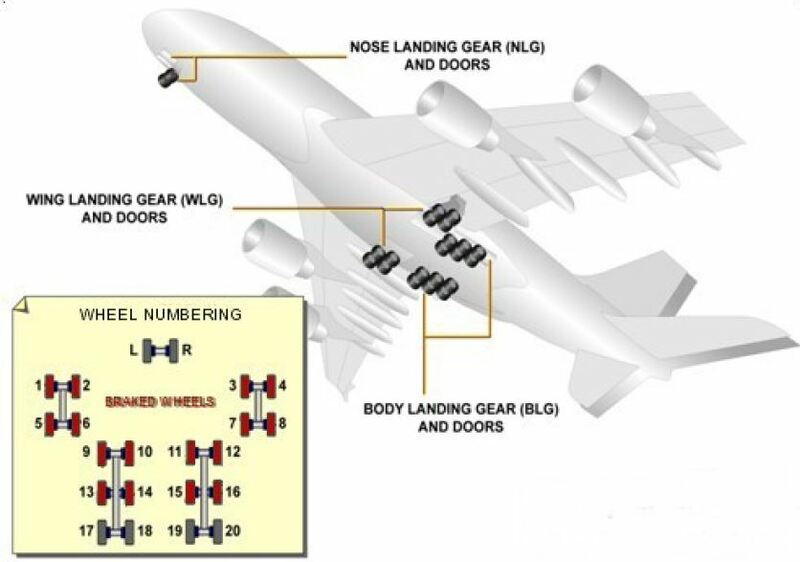 Heavy (large) aircraft are designed to satisfy more stringent certification and safety standards than the smaller (light) aircraft. Pilots are the protectors of aviation safety – not the problem. 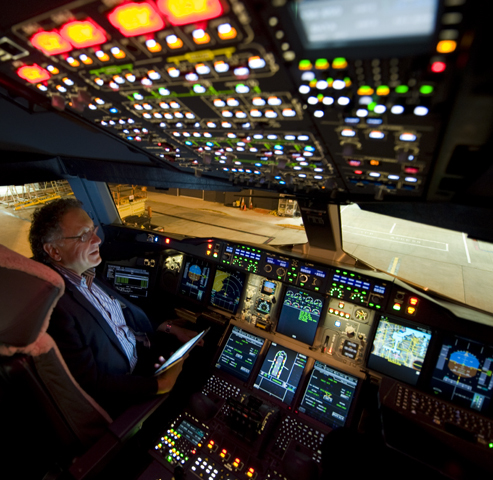 I agree with Captain Sully Sullenberger who comments “Technology Cannot Replace Pilots“. We will not have resilient technology to provide pilotless commercial passenger aircraft for at least another thirty years. There are many ultra-safe airlines in the world. The common denominator for these airlines is that they pass the bi-annual IOSA audit that is a prerequisite for membership into the IATA group. The world wide hull loss of 1 per 4.4 million flights improves to 1 per 8.3 million flights for member airlines of the IATA group. Find independent reviews at AirlineRatings.com. I am proud to be a pilot within this 111 year old impressive and safe industry. Every aviation professional is the caretaker for protecting our safety culture and for saving lives. 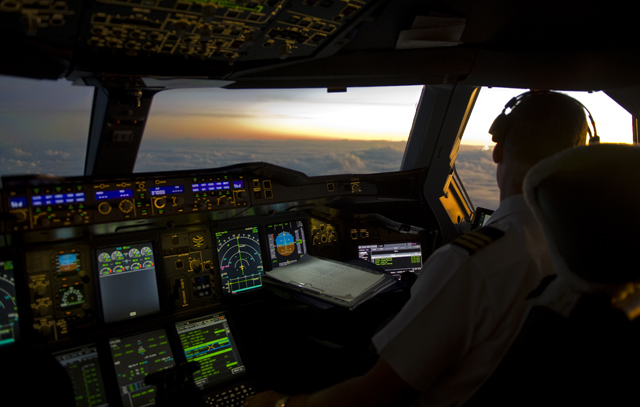 99.9999% of pilots go to work with the right attitude to look after you – the passenger. I observe these pilots every time I go to work and walk through the airport terminals. We are a band of brothers and sisters with you being the reason we wake up, we sweat in the simulators to become resilient and we farewell you at the aircraft door at the end of a long flight. We can never guarantee safety. Just as drownings kill 372,000 people annually (591 every 14 hours), people will continue to swim, go to hospital and people will tragically die in transportation accidents. My mission is to keep my passengers safe. I feel safe. I hope I can make you feel safe. Please tell me if you do not feel safe. Click here to see how aviation safety has steadily improved over the last 72 years. I have just finished your book. Good read! I cannot believe that you failed your check ride – that’s not right! I would question the check airman who failed you. Your book brought took me back into the cockpit thirty one years after I retiring from commercial flying. Thanks Mike. Congratulations on surviving a career in aviation! Best Regards Rich. Excellent article and a reminder to those of us who fly a lot that we have opted to be in an environment of unparalleled safety. I’ve had no experience in the air (with over 3 million miles flown) that has ever rivaled the stress and unpredictability of navigating a Costco parking lot. Excellent article Richard. Besides being a hell of a pilot you are also a good writer. 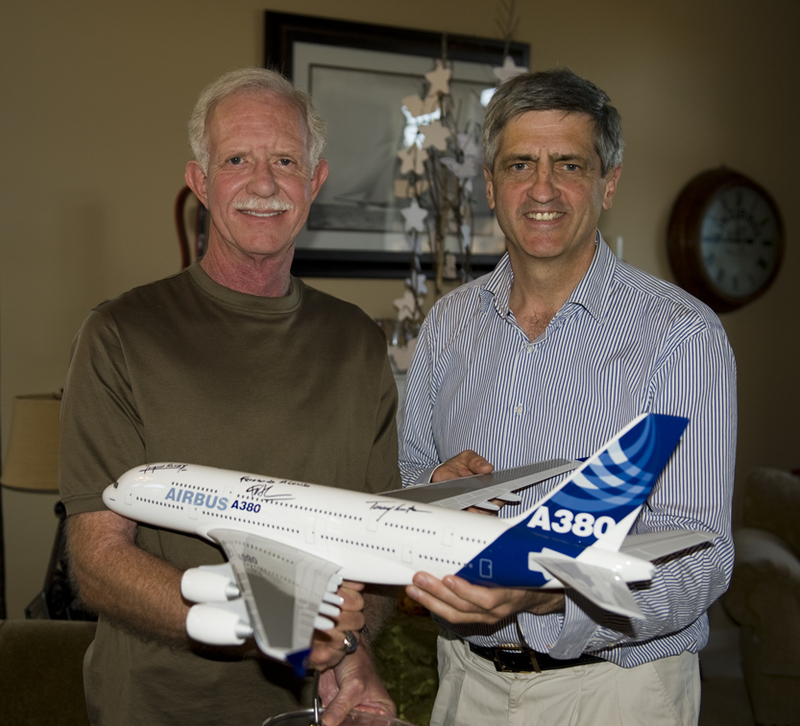 I am a retired UAL 777 Captain and appreciate your well thought essay on commercial aviation safety. The only thing I would add is the fact that most commercial aircraft do not have a key pad entry capability. We used to have a key, you may recall, but the decision was made that a more safe environment resulted from a more secure barrier. Any way, thanks for your learned discourse. I hope the traveling public can grasp the nuances. Check six. There’s no such thing as a risk free life. Deaths last year in the US from texting while driving: 6000. 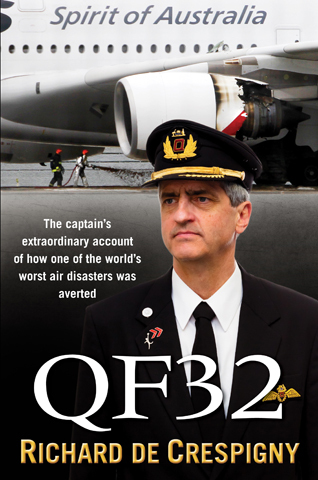 The Captain’s handling of QF32 has gone into the golden pages of aviation history. I am a retired aviation person (TN/QF) who can only praise the fraternity of airmen and women in commercial or other aviation. We are faced with hundreds of fuel tankers on the roads daily with highly flammable cargo yet nobody asks about the mental health of these drivers. As for Russ’s dream, he should go into gliding which will be relatively easier goal to achieve. Richard, when will the new book come out? The QF32 printed version (I have two copies) has now been read by many crew members of Slovenian national carrier Adria-Airways (JP) and by the students at the Faculty of Engineering in Ljubljana, Slovenia (which has a section for future aviation personnel). Simply who else can make people feel safe again about aviation more than Captain of the safest airline on the world also after proving it personally on flight QF32? I do appreciate bringing your bit into the debate and wish you many happy flight hours on A380. I am very thankful for your (and others) actions on QF32. I found your QF32 book inspirational and I enjoy reading your blog. If the Germanwings accident is found to be be deliberate pilot error after a full authority investigation, then I’ll be shattered that a technical crew member committed murder-suicide. However I understand that 99.999% etc of pilots are safe to fly with. I was wondering what sort of mental health help that aviation workers receive whilst flying? I’m not making excuses for depression or anxiety being part of a potential problem but just like aircraft maintenance, technical training, do we need to do more to help with the stresses and issues that pilots may face? The issue of pilot fatigue is also an ongoing issue for many airlines worldwide and I believe one of the major causes for the tailstrike on EK407 at Melbourne Airport a few years back. I’m partly deaf and along with finances will find it difficult to get my Private Pilot’s Licence but I’m determined to find a way to live my dream of flying solo one day. Thanks for all you do in reassuring the public as to the safety of aviation and inspiring others to live the dream. Safe flying and I hope to be onboard an aircraft under your command in the future. Pilots are responsible for the lives of hundreds of passengers. Pilots manage crises in the air by themselves often without the time or ability to call friends or to pull over on the side of the road and ask to be towed home. 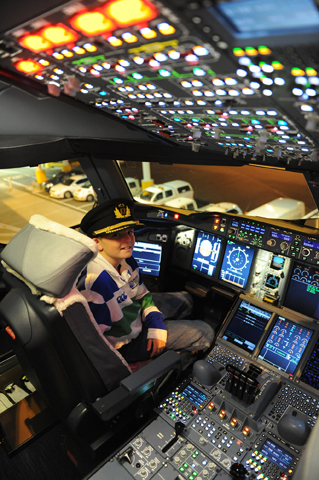 It takes a special breed of person to want to be a professional pilot. We have to slave over books, manuals, attend courses and then work in the heat or cold of remote airports to get the experience needed to join a value added airline. This apprenticeship training and the resultant skills should never be taken for granted. The resilient pilot has been battle scarred and case hardened by events whilst gaining this experience. Any company that skips the requirement for this experience faces the risk of employing pilots in critical roles without having the sufficient information and references to validated their skills, personalities and motivations. Professional pilots understand the need to be mentally healthy before commencing duty to command big commercial passenger jets. There are considerable skills in knowledge, training, experience, leadership, teamwork, decision making and human factors needed to command the big commercial jets. Stress, moving home, money, work, depression, separation, divorce, trauma, children, disabilities and sickness all distract pilots from their essential chores. Some of the symptoms of these stressors can be insidious to the observer and sufferer. Experienced pilots and psychologists appreciate these threats. In these situations, the experienced and professional pilots refuse to go to work because of their respect for the safety of the flying public. I wrote in my book that this was my my case when I grounded myself for four months after my QF32 flight. It is a selfish, inexperienced, irresponsible and unprofessional pilot who operates an aircraft knowing that they are medically unfit to fly. I don’t want these pilots in my airline. You don’t want these pilots in the aviation industry. The Colgan Air Flight 340 accident at Buffalo, New York on February 12, 2009 was a wakeup for the American aviation industry. After this horrible incident the FAA raised the minimum experience for First Officer to 1,500 hours. Pilots undertake medical examinations with certified aviation doctors who are trained in all aspect of physiology and aviation medicine (incidentally I was trained to be an instructor in Aviation Medicine at Brooks Air Force Base in San Antonio, Texas, USA). The airlines also provide services to help employees who are suffer from mental stress and illness. Pilots self-report their sickness to prevent being scheduled to undertake airline operations. Managers always respect a pilot’s decision to refuse to fly due to stress and/or illness. All of the above systems should function seamlessly in an open, honest, trusting and blameless culture where management, employees and customers are respected equally. 1. I am intrigued to know why it is possible in a technological and sophisticated marvel such as an aircraft, for a transponder to be able (either intentionally or accidentally) to be de-activated or incapacitated by a mere flick of switch? It simply doesn’t make sense. 2. Apart from someone intending foul play, I cannot understand or envisage a circumstance whereby a device which is designed to track in real time the precise locality of an aircraft would necessitate being deliberately disabled. Accidentally, perhaps, but intentionally, never. 3. Also, why is there not a land-based back-up system, completely independent of the aircraft, which would alert crew to a transponder not operating and seeking an explanation? Depending on the response (or, in the event of no reply), the land monitor could then determine whether to maintain the status quo or intervene and over-ride the on-board system and continue to track the craft. Such a system would surely have enabled the ill-fated Malaysian flight MH370 to be located within days and not remain missing after a year. 4. I appreciate that my suggestion is probably more complicated than appears, but it is a mystery to me why a large, hugely expensive airplane with up to 500 + people aboard is not able to be tracked precisely (either simultaneously or entirely separately) from an earth-based source at all times. 5. After all, at this very moment, millions upon millions of motor vehicles (and their “pilots”, if you will) throughout the world are being monitored and their precise location known through the amazing satellite navigation system, so why does it appear so difficult within the aviation industry? 1. All devices must be capable of being depowered in the event of smoke of fire in the cockpit. Most transponders are set to “standby” either on the ground or at the terminal to minimise congestion on the ATC ground displays. Indeed the default procedure for all Airbus aircraft is to set the transponders to “Standby” after every flight. 3. Air traffic control rely on transponder broadcasts (Transponder Mode S, ADS-B, ADS-C) to augment radar and dead-reckoning calculations to provide surveillance services for all large passenger aircraft in controlled airspace. 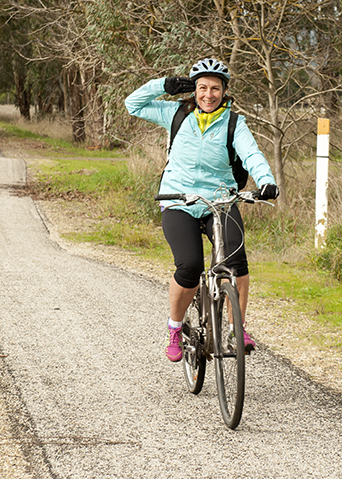 Transponders require electrical power, senses and must be turned on. 4. Cost. For a $30 outlay, the public can purchase a (line of sight) ADS-B receiver and contribute data to the public domain (that FlightRadar uses). Tracking aircraft outside line of sight of land based receivers is more expensive as data must be sent via satellite data links (such as InmarSat). 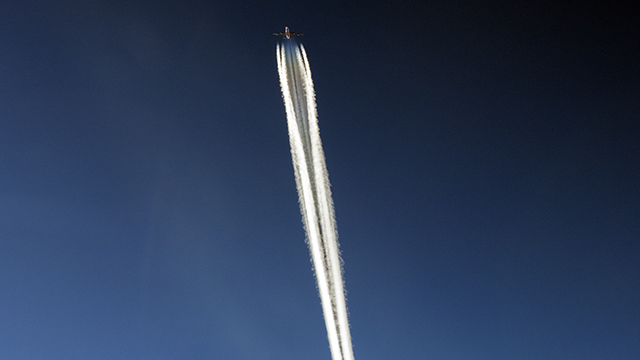 Costs to an airline can easily exceed millions of dollars per year for satellite data connections. I think that only the value added airlines use this value added service to send air traffic control (CPDLC), engine and aircraft data to their hosts. More than helpful info/data Captain Rich. The more we know (as passengers) the calmer we can be. Your percentages stated here really help put things in perspective for us non-pilots. I also enjoyed reading “Why Planes Crash” by Sylvia Wrigley and wondered if you ever got the chance to read it, too? Sylvia is my niece — BUT it is a good-read for us non-pilots anyway (haha). It is well laid out and her research is extensive. She is a private pilot herself and filled with interest/knowledge and has provided interviews in her local Europe. Nice article, however, since the accident occurred in Europe, why not include European regulations as well? 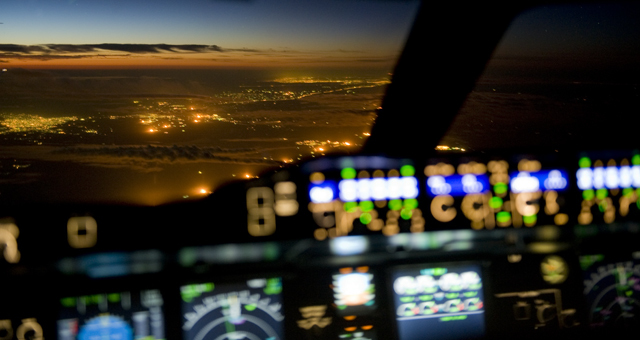 There is no requirement for a minimum of 1,500 hours of pilot experience in Europe. The co-pilot on this flight had 630 hours and I know multiple pilots starting with 200 hours at a commercial airline. Furthermore, it disappoints me that you’re talking about a “band of brothers”. What about the “sisters” in aviation, I believe we also want to transport the passengers safely. I know we only account for 3.5% of the worldwide population of pilots, but because of recurring comments like this, it seems like we don’t exist at all. You correctly identified differences around the world re the minimum hours required by First Officers. I apologise if I segmented any group in my description of “band of brothers”. Women have contributed equally with men in aviation. I have updated the post accordingly. Hi Rich, I wanted to say thank you for a great article surrounding the recent sad events. Your comments about the incident, and the things i have learnt from your experiences especially regarding Qantas Flight 32 have been a real inspiration to me! Thank ou for your kind comments. Best wishes for your flying training. I recommend you also read my comments for aspiring aviators. Many thanks Rich! Definitely, I’ll have a look! Thanks for your excellent answers and for your very reassuring words for those who may harbour doubts. Regarding the oft quoted statistics on airline fatalities compared to road fatalities, I feel apples are being compared with oranges. Perhaps a better comparison would be between professional pilots and professional drivers – bus, truck and limousine (though not taxi!). And another comparison between amateur pilots and amateur drivers. Airline pilots are highly trained, re-examined frequently, keep an eye on one another and are assisted by ground controllers. Many car drivers are poorly trained, frequently inattentive and often have a high opinion of their own ability. Indeed, a survey once found that 98 per cent of car drivers believe themselves to be above average, a statistical impossibility. They get a licence at 17 and probably won’t be re-examined till they are 75 to 80. Cars can go for years at a time without being inspected by authorities. Having said all that, private pilots do seem to crash far more often than professional ones. I think there’s a statistic that when all modes of transport are examined, the most dangerous way of travelling (measured per million kilometres) is by private aircraft, the safest is by commercial aircraft. I’m not sure where I got that figure from, can you help with this? I agree with your comments. It’s a difficult task to compare statistics across multiple industries because these facts are just measures of the symptoms that result from the company values and procedures. Safety values and appetites are set at the top, by the board. My statistics do not give us insights into the inherent safety and commitment to safety adopted by the board, executives and managers at these companies. Aviation, exploration and mining industries are exemplar industries that set the highest priorities for safety and protecting the environment. I have been humbled to meet people like Ann Pickard of Shell, who set a mood of “Chronic Unease” as the basis for Shell’s remarkable safety culture. Ann’s safety culture should be set as a target for other leaders. The hospital statistics provide a proxy measuring the effectiveness of the safety management systems in the health industry. Please review the uMort scale that ranks activities according to their risk of death. Many thanks for pointing me to the fascinating Micro Morts website. It shows commercial aircraft travel to be 1,000 times safer than private. But private planes beat pushbikes for safety, and motorbikes sit at the top of the danger list! A frequent flyer for many years I now have about 8,000 hours as a passenger. I have also flown in many helicopters, a jet fighter trainer, hot air balloons, a glider and, best of all, the Goodyear blimp. I loved every minute of it! Thank you for reviewing these questions in a mature and responsible manner. Thank you for your answers on this topic. I am a grandmother who is booked on a flight from Melbourne to Canberra tomorrow (Monday 30th March), to be with my daughter for the birth of my new grand-daughter (Caesar). I am not a frequent flier. You have reassured me of the safety of flying. It was reported that in addition to the electrically operated door lock there is also a dead bolt that can only engaged from the cockpit. I didn’t completely read this article, but it points out some good responses for a majority of the public who really don’t understand (and reasonably so) the concepts of the airline industry and makes some good remarks about fear, and lack of understanding. If you read my comments during this thread (for the average person) they may sound irresponsible. But if you realistically break down the logistics of flying, the statistics of avoidable accidents, then they make a lot more sense. Aviation is a calculated risk. Just like driving a car. If you left your house only on days there was absolutely no risk of injury, death or sickness you would never leave. The aviation industry is all about calculating these risks. Minimizing these risks while also making it an efficient (and profitable) way of travel is the name of the game. I feel safe whenever I travel in the air. Aviation is a highly regulated and safe industry. Disasters can happen. They will happen. But I don’t fear disasters as I understand the probabilities and risks. Check the caption of the third photo on the page; “Emirates crossing @ 1,800 kilometres per hour 4,000 feet above (RDC)”. Thanks Ben, This is a closing speed, the addition of both aircrafts’ ground speeds. I’ve altered the caption make it a bit more clear. a.) Last year some 80 million flying hours were successfully completed. b.) As I write this comment, in the air around the globe some 4000 -5000 aircraft are airborne. c.) According to IATA sources last year nearly 5.3 billion passengers travelled on all the World’s flights. ← Four Years Later ….